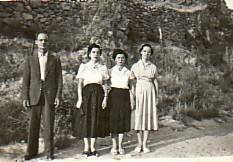 Above: With my father, Fotios, my sister, Elpida and our cousin, Alexandra Seretis ("Hatzidimitriou"). I am on the right. 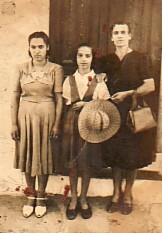 Above Middle: With my mother, Marianthi, and sister, Elpida. 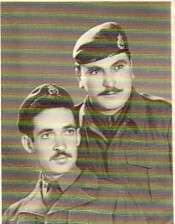 Above Right: My brother, Vasilios (left) during his National Service. Above: With my friend, Aglaia (right). 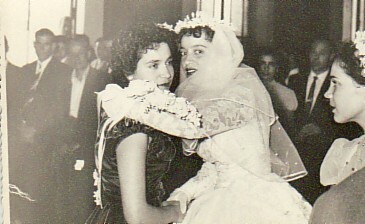 Above Right: With my sister, Elpida, on my wedding day. Above: My wedding day. 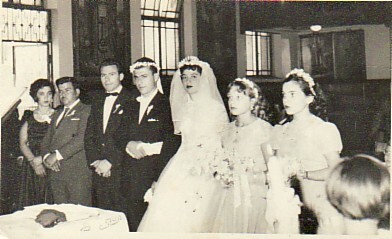 With my husband, Apostolos, and on the left is my sister, Elpida and her husband, Georgios, and our koubaro, Dimitrios Andreou. 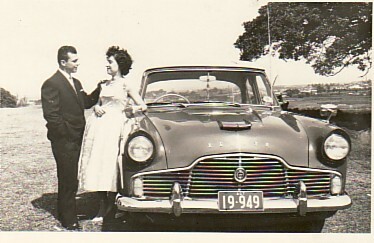 Above Right: On my honeymoon, with my husband, Apostolos. 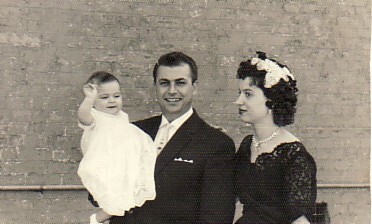 Above: With my husband, Apostolos, and our daughter, Angela. Above Right: Boarding the R.H.M.S. 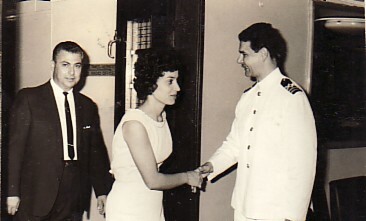 Patris with my husband, Apostolos; we are off to a holiday to Greece (1967). Above: On the R.H.M.S. 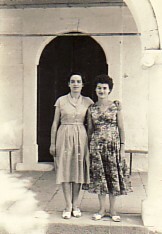 Patris (1967). 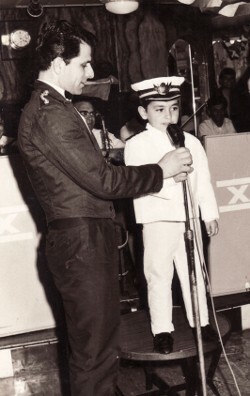 After winning the costume competition, my son, Chrysostomos "Chris" addresses the crowd. 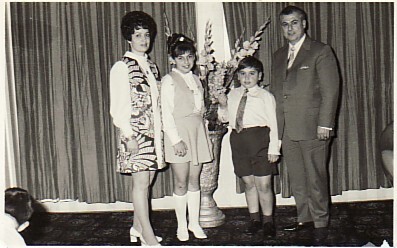 Above Right: With my husband, Apostolos, and our children, Angela and Chrysostomos. 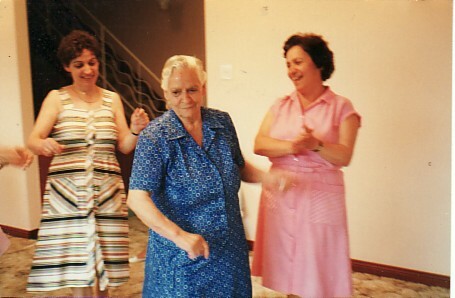 Above: With my mother, Marianthi, and my sister, Elpida.